Edinburgh-Berlin return £51 in November, cant complain ! Porto all day long mate. Beautiful city. Sitting on the banks of the Douro with some port and cheese. Just booked for next March then seen this after i paid "This sale is not protected under the ATOL Scheme"
Why are you booking two separate flights from Spain to London. Would it not make more sense to book one from the UK to Spain, then one back home again? Does this only work with contract customers or will pay as you go accounts work too? Did they let you use the three code on way back? My code has been accepted for return flight back to uk but confused as saying can only use on outbound from uk? Love Bilbao! The restaurant in the Guggenheim serves delicious food, but make sure to book In advance. I can also recommend travelling to San Sebastián where the food scene is fantastic! Return bus fares from Bilbao start from as little as €14 and take from 1hr 10m. In my experience EasyJet flight prices include a cabin bag which should be plenty enough for Basque country in summer. With up to 20% off 400,000 seats and holidays to amazing destinations across Europe, what are you waiting for? Are these discounts? The prices of flights have been going up since their last sale before black friday. This is no sale, its a trick! Easyjet package holiday. Flight and room only from Bristol to Lazio. Decent price if dates and airport suit. Outside Rome centre but still decent price. If you want to see Rome then dont cheap out on deals like this as you will be disappointed as your 10km away from anything and the hotel reviews are rubbish. just be sure to have another £287 for your lunch... its SUPER expensive to eat there!.. The exchange rate as a tourist is not good. Is that the cafe with all the foreign bank notes above the counter? A reminder for those of us who like planning ahead, flights will be on sale from Nov 15th, for flight from Sept 2nd up to Oct 27th 2019. Got up at 5.30 on day of release and booked flights. Within an hr they were £300 dearer. Thanks OP - booked a villa for september and was waiting for the flights. Thanks for the reminder - €27 BCN-MAN one way (already had the outbound). Brilliant! sooooo flight prices have actually come down since Thursday! the London to Cyprus Larnaca flight came down £13 pp. booked rtns at £99 pp :D I hope everyone got their flights at reasonable prices though. Corfu has also had a MAJOR from to just £30! I went there for work late February this year and it was -18 deg C &#x1F62C;. Still a good price if you can brave it! Amazing city and a great price. Ah two adults two children. My first thought was that you were literally booking 2A and 2C in the hope nobody booked the seat between you - a "friend" wanted to know if that trick ever works...! Do you mean it was less for two ? If so that's because they charge £15 admin per booking and it's divided between the flights. Picked up 2a 3c London to Dalaman (Turkey) in easter for two weeks £538 including 2 23kg suitcases. Booked at 6.03am :) chuffed to would be an understatement! Dont forget they are reducing cabin baggage again; anything larger than a hanky*, and you have a good chance it will have to go in the hold - costing you an extra £10. This was announced and put on their website back in the late winter/ early spring - but implementation has been delayed until now. * A little bit bigger, but not by much; my 5 y/o's school lunch box is JUST small enough to go as cabin luggage under the new regs. Can't trust them to get you there or compensate you if they can't. The owner is a complete tool. Time to avoid. Cold. Probably get your luggage stolen at Liverpool. Anyone purchasing this deal has to try this recommendation if they like cocktails: The best cocktails I have ever had in my life are at Boadas Cocteleria at La Rambla. The bar looks amazing and is preserved in 1930's decor but the cocktails are the best i've ever had and watching them make the cocktails would be comparable to watching Van Gogh paint Starry Night. I can't sing this bars praises enough! I agree don't stay on la rambla but we were near the magic fountains and that end of town was fine, no trouble at all. You can pay €6 to €8 for a pint on la rambla but where we were (only 20 mins walk away/5 minutes on the metro) it was around €3 to €4. If you want to drink on the cheap our hotel was right next to a supermarket and the wine prices were unbelievable - most wines including cava between €1 to €3 a bottle! Plenty of accommodation options on travel republic starting at £210pp for the week. Our group are still sorting our dates.. Thanks to OP I got up at 6am and got two return flights from Newcastle to Faro in March 2019 for £54 each Its for my special Birthday, I am well pleased Thanks again. delete your cookies and search again! I think you'll find it's because this route isn't available from Belfast during the winter months. All other routes are loaded on there from Belfast. Turning off cookies can sometimes help reduce the price. I was looking flights from Belfast to Barcelona on 28th October but they haven't been released yet even on the app. 400,000 seats up to 30% lower !!! Not a great deal worse thing is hotdeals have posted it on facebook so OP you may get a bit of stick for this but somebody may get a bargain :) hope so! The flight searches I have saved aren't any cheaper either. Must be very specific. You posted a deal without checking anything?! On the ones I've been keeping an eye on, the Flight prices have gone up rather than down. Odd, we are a family of 4 and it cost €26 at Xmas 2017 for a meal in the McDonalds. In 1995, Greek-Cypriot entrepreneur Sir Stelios Haji-Ioannou had the idea of creating a low-cost, customer-focussed airline that would be something of a revolution in European aviation. And thus, easyJet was born. With its first flight taking off between Luton and Glasgow later that very same year. In 1998, easyJet‘s website was launched and the airline's fortunes, at that point, really began to take off. 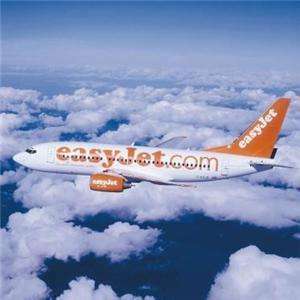 Through a series of acquisitions and intelligent marketing throughout the '00s, the company continued to grow along with the public's appetite for cheap, no-frills flights, and soon a whole host of new routes and destinations were added to easyJet's roster. Today, easyJet boasts a fleet of more than 240 Airbus airliners serving more than 800 routes. The company employs over 10,000 people across Europe and North Africa and flies more than 70 million people annually. Furthermore, the forecasts for the future show that easyJet can only continue to grow. It's easy finding flight and other services on www.easyjet.com. On the homepage, there are four searchable tabs: flights, cars, hotels, and holidays. Simply choose which service you want and type in the necessary information. EasyJet operates a “dynamic pricing“ structure. Put simply, what this means is that the price of a seat depends on the demand. The higher the demand, the higher the price. For the cheapest deals, early morning or late night flights usually cost less, but also the price rises the closer you get to the date of departure. 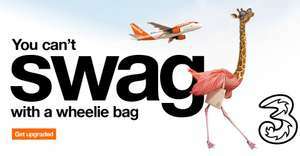 All passengers on easyJet flights have a cabin bag allowance of one bag with a maximum size of 56 x 45 x 25cm. The standard weight of hold luggage is 20kg. If you don´t know right now where you want to go, you can browse a range of travel guides about a host of easyJet destinations on the website. EasyJet regularly runs a wide range of promotions and discounts on flights to a variety of destinations. These are advertised on the easyJet homepage, so it's worth checking regularly the site if you're in the market for a bargain on flights or a holiday. You can also search for promotional flights at easyjet.com. If you're flexible about when you can fly, then it might be worth taking a look at easyJet's low fare finder to see if you can pick up a bargain. EasyJet is an enthusiastic participant in the global shopping mayhem that is Black Friday and Cyber Monday. Last year, the airline released a whole load of discount codes to various destinations and it may be worth waiting until the last week of November if you're looking for rock-bottom prices on flights. If you're making your first online booking on easyjet.com, you'll need to register an account. It's not possible to book flight tickets as a guest. 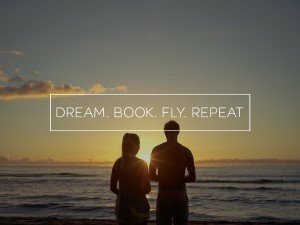 Registering is, however, a straightforward process and it means that all your future bookings are totally secure; it will also save you time filling in your details for future flights. When you sign up for an account, you'll also be given the option as to whether or not you'd like to occasionally receive e-mails with details of exclusive promotions and special offers. You must tick the box if you wish to opt out of receiving these. For bargain hunters, it's worth leaving the box unticked. 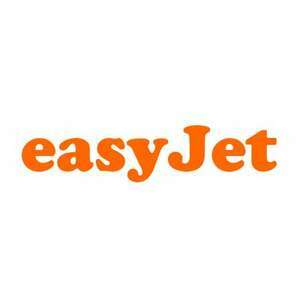 EasyJet accepts only payments by credit or debit card. 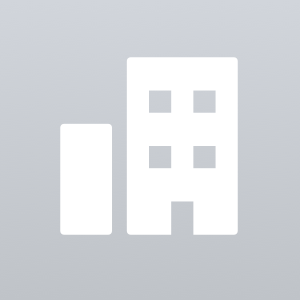 The price of all standard fare booking includes an administration fee. When you book and pay using a Visa credit card, MasterCard, American Express or Diners Club card, these transactions incur an additional fee of 1% of the total value of the sale. Payments by debit card do not incur any additional fees. Tickets for easyJet flights are non-refundable, except in the case where your flight is cancelled or delayed for more than three hours. You can, however, make changes to your flight for a charge. The cost of this fee depends on how close to your departure date it is. If you are changing the date with more than 60 days to go, the costs are lower as the chances of easyJet finding a replacement for your seat is much higher. With less than 60 days to go, customers making cancellations are asked to contribute a larger fee. For full information on how to make changes to your flight and the costs that the change will incur, see their website. Log-in to your easyJet account and click "My bookings". Find and select the flight that you wish to make changes to and click "View". You'll see options to make changes to the flight itself, the names, seats, luggage and more. Simply select the appropriate option and make the changes by following the instructions on the screen. If your plane is cancelled or delayed by more than three hours late, then you are eligible by European law to claim a refund, providing that you no longer wish to take the flight. For information on how to go about doing this, see easyJet’s refunds page. If you are unable to take your flight or you miss it, there is no refund, you do however have the legal right to claim back the Airport and Government taxes on the unused seat. For information on how to do this, see their website. EasyJet, like most major airlines, has a large presence on social media. The airline's followers are often amongst the first to learn of latest news, as well as receiving a whole host of exclusive special offers on easyJet flights and services. If you're on the lookout for a bargain on an easyJet flight, their social media pages are a great place to find them. Updates on the latest travel information can be found on a dedicated section on their website. Download mobile boarding passes for flights from most, but not all, airports. You can also use the online contact form to send easyJet an e-mail. By phone: +44 (0) 330365500. The easyJet Customer Service line is open 7 days a week 8am - 8pm, UK time. Standard rates apply. If you want to be kept in the loop when it comes to the latest and best online deals from easyJet, be sure to regularly check on their dedicated page on HotUKDeals.